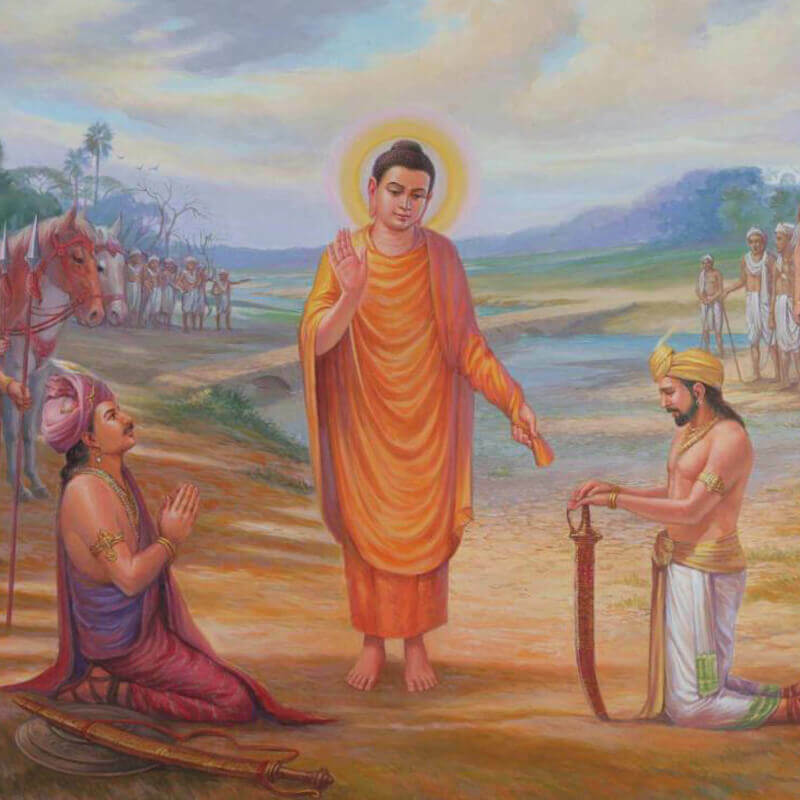 At the time of the Buddha, there was a strong belief among some people that one can attain liberation only by leading a life of strict asceticism. In accordance with this view, the Buddha subjected himself to severe austerities for six years. Then realizing the utter futility of self-mortification, he adopted a middle way. Seeing this, his five companions—Kondañña, Bhaddiya, Vappa, Assaji, and Mahānāma—lost confidence in him and deserted him. 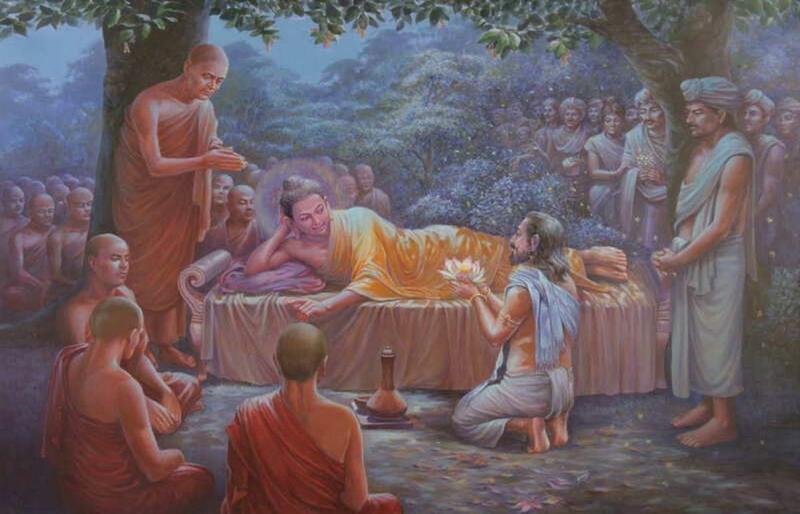 After enlightenment, the Buddha decided to teach the Dhamma to them first. 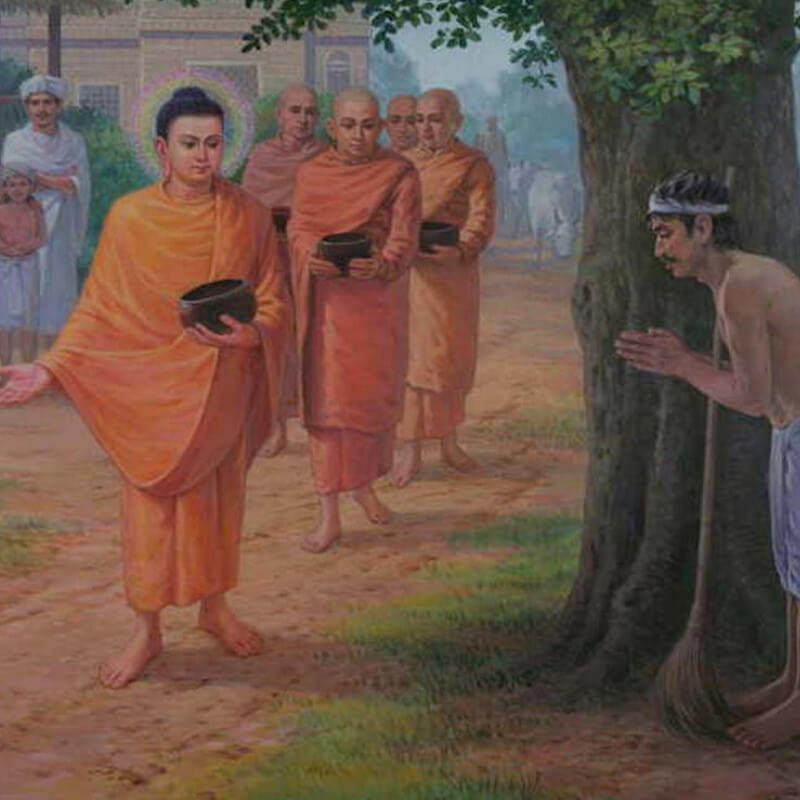 When his five former companions saw the Buddha approaching, they decided that they would offer him a seat because he was the son of their ruler but would not show any other sign of respect. But as he came nearer, his infinite love and compassion and the glow on his face attracted them, and they paid full respect to him. 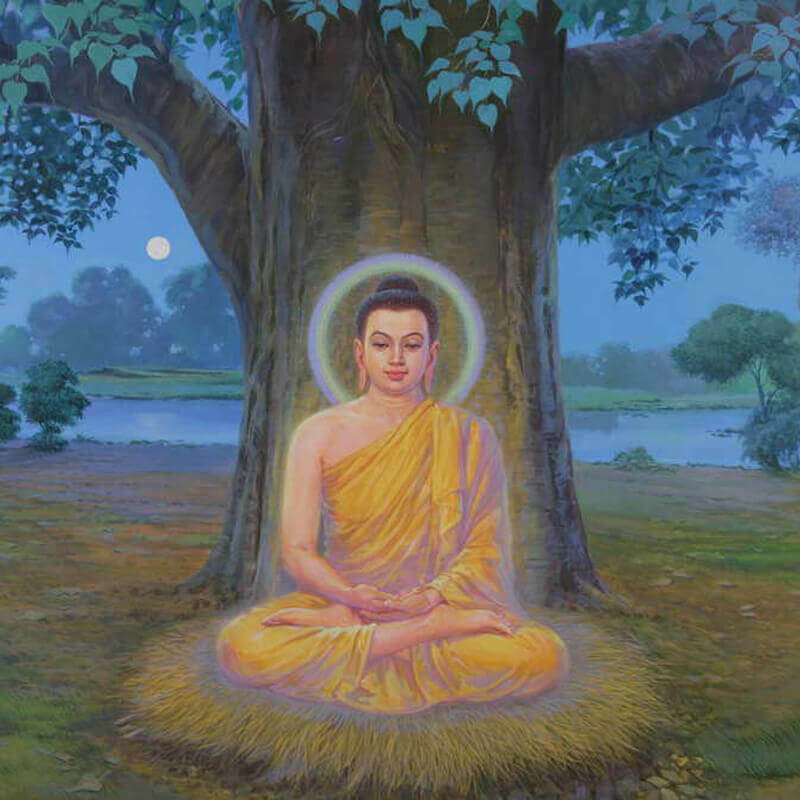 The Buddha’s first discourse is called the Dhammacakkappavattana sutta (The Discourse of the Turning of the Wheel of Dhamma). The Buddha gave this discourse to his five former companions at the Deer Park in Isipatana near Benares on the Āsālha- full moon day (July), two months after his enlightenment. In it, the Buddha expounded the Middle Path which he discovered and which forms the essence of his teaching. Indulgence in sensual pleasures, which is base, vulgar, worldly, ignoble and not beneficial. Practice of self-mortification, which is painful, ignoble and not beneficial. 8. Right concentration (sammā samādhi). 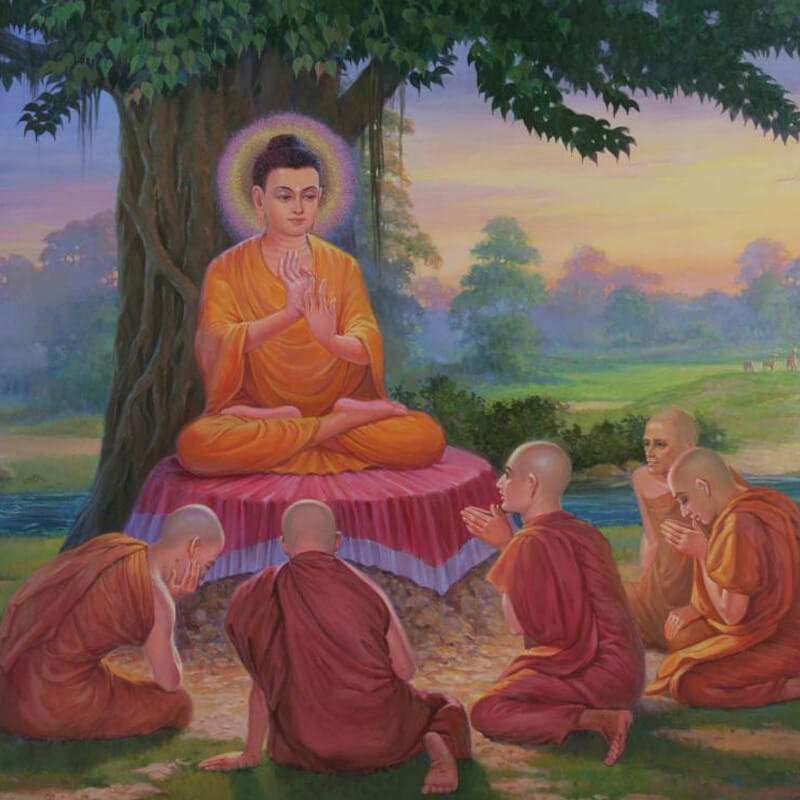 Then the Buddha expounded the four Noble Truths, which is the essence of his teaching. Birth is suffering, old age is suffering, disease is suffering, death is suffering, sorrow, lamentation, pain, grief and distress are suffering, association with the unpleasant is suffering, disassociation from the pleasant is suffering, not to get what one desires is suffering; in short, attachment to the five aggregates is suffering. It is this craving that causes rebirth and is bound up with pleasure and lust and finds delight now here, now there. That is, the craving for sensual pleasures, the craving for repeated rebirth and the craving for annihilation. It is the complete fading away and destruction of this very craving, its forsaking, its renunciation, the liberation from it, leaving no place for it. It is the Noble Eightfold Path, namely, right understanding, right thought, right speech, right action, right livelihood, right effort, right awareness and right concentration. Actual accomplishment of each Noble Truth (kata ñāna). One accepts the Noble Truth of Suffering. One understands that the entire field of suffering should be fully realized at the experiential level—pariññeyya. One explores the entire mundane field of suffering and transcends it—pariññātam. One accepts the Noble Truth of the Cause of Suffering, namely, craving. One accepts the Noble Truth of the Cessation of Suffering. One understands that the state of cessation of suffering should be directly experienced—sacchikātabbam. One directly experiences the total cessation of suffering—sacchikatam. One accepts the Noble Truth of the Path leading to the Cessation of Suffering. One understands that the Path leading to the Cessation of Suffering should be fully developed—bhāvetabbam. One has experienced every part of this Eightfold Noble Path; one has developed it to the fullest extent—bhāvitam. 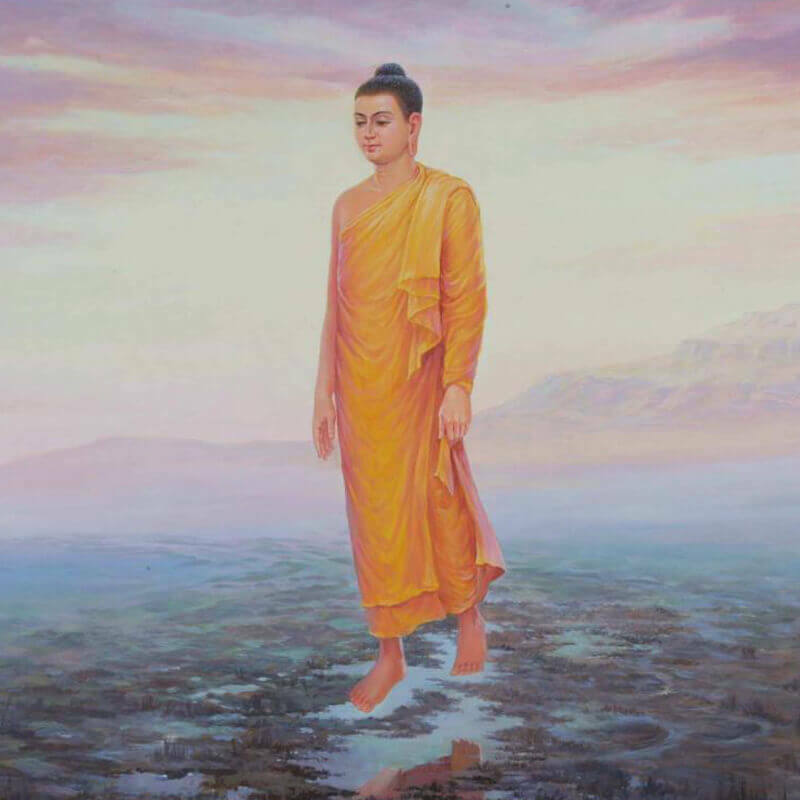 The Buddha declared that he had acknowledged the attainment of the incomparable supreme enlightenment (anuttara sammāsambodhi) only after the absolute true intuitive knowledge regarding the four Noble Truths in three ways (therefore, the twelve modes), had become perfectly clear to him. Imesu catūsu ariyasaccesu evam tiparivattam dvādasākāram yathā-bhutam ñāna-dassanam suvisuddham ahosi. The five disciples rejoiced at these words of the Buddha. At the end of the discourse, Kondañña, the eldest of the five disciples, attaining the first stage of saintliness (sotāppana), realized that whatever is subject to arising is subject to cessation—Yam kiñci samudayadhammam, sabbam tam nirodhadhamman”ti. Accepting the truth merely at the devotional level because we have belief in the words of the Buddha or at the intellectual level will not liberate us. We have to realize the truth at the actual level, at the experiential level. This alone will liberate us. Of course, accepting the truth as announced by the liberated person is helpful. A Buddha’s dassana (wisdom), a Buddha’s ñāna (knowledge), a Buddha’s vimutti (liberation) will give us wonderful inspiration, wonderful guidance. We must make full use of this inspiration, we must make full use of this guidance. Yet it is our own direct experience which will liberate us. Step by step, keep moving towards the final goal with direct experience. No imagination; no blind belief; no dogma; no philosophy. Observe the truth as you experience it from moment to moment—yathā-bhūta-ñāna-dassana. And this is Vipassana: yathā-bhūta-ñāna-dassana. Keep on developing Vipassana with the base of sīla and samādhi; keep on developing Vipassana to come out of all the bondages, to come out of all the miseries. Make best use of this wonderful Dhamma, this wonderful path. One is so fortunate to get the pure path, the pure Dhamma, the pure technique. You have it; now you have to work. Continue to work diligently. Bhavatu sabba mangalam—May all beings be happy!